Dunfermline YAC has finally, finally finished the transition from a club merely affiliated to the global YAC empire, to that of a fully signed up branch. This makes absolutely no difference at all to members, except that we don’t have to close down, so that’s a good thing. Probably. 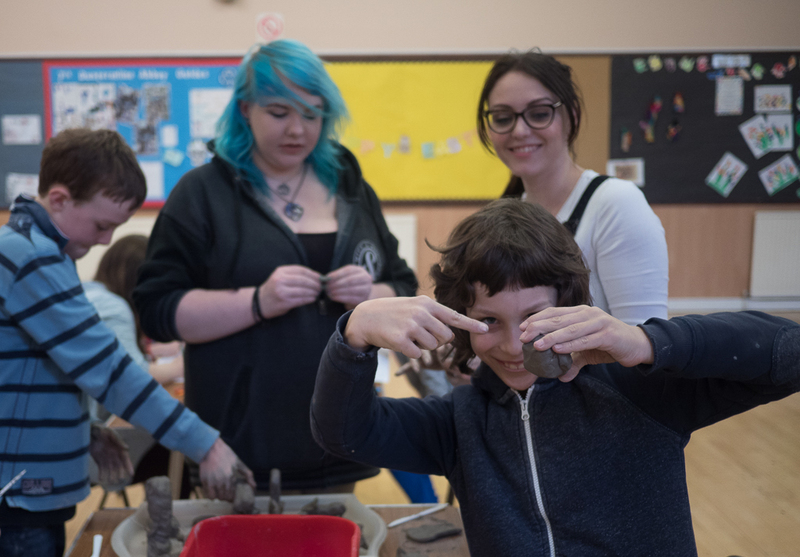 Last Saturday was our first meeting since January and our numbers were quite literally increased by two, as new members Katie and Lee, joined Andrew, Daniel and Algirdas for a spot of getting unnecessarily covered in air-drying clay. For the first time we spent some time considering the archaeology of death somewhere other than Scotland. 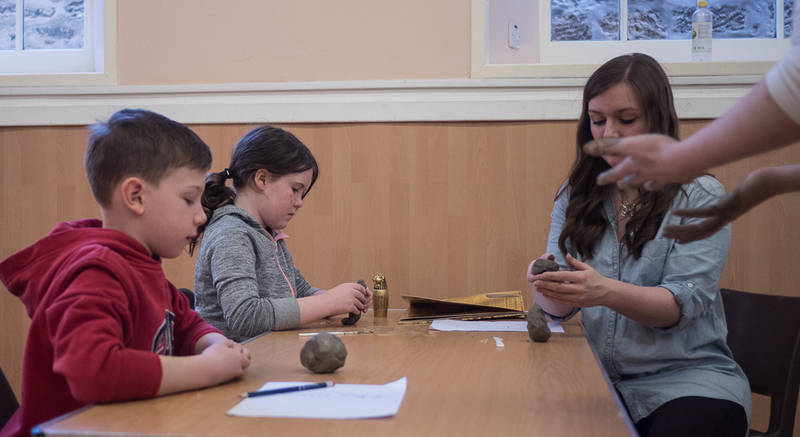 Last time we looked at the pottery vessels that Bronze Age Scots liked to bury with their dead (we did, honest) and this time we had a look at some of the things that ancient Egyptians enjoyed entombing with their deceased. 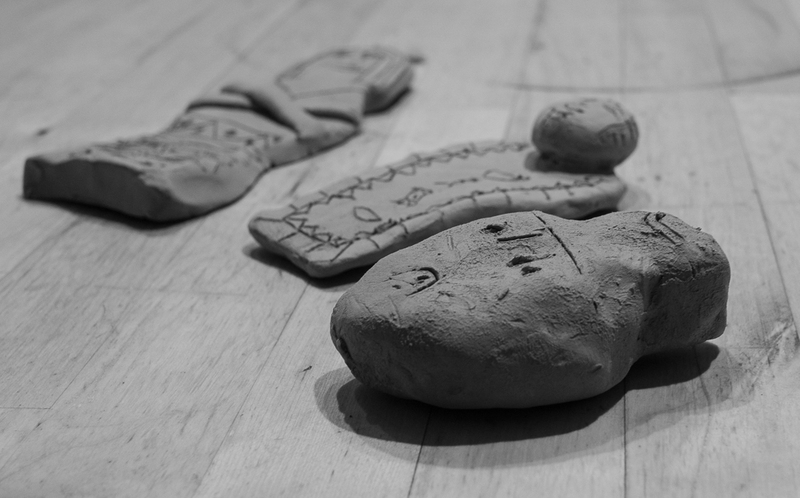 We began with some research into ushabti figurines; little people made of clay or wood, intended to do the work of the dead in the afterlife. These are found in pretty much all Egyptian graves, from those of pharaohs to the lowliest peasant and have survived in their thousands. If you want to see a few you can do worse that have a look a the collections housed by the British Museum in London and the National Museums Scotland. Confusingly the BM call the figures ushabti while the NMS calls them shabti. The ancient Egyptians believed that the afterlife was actually pretty much the same as life. The dead still had to eat and sleep and so forth. Therefore some of the dead had to build houses, grow crops and do all the other myriad jobs that had been necessary in life. For most people this just meant business as usual, but if you had been rich in life, the idea that you might be expected to do menial, manual jobs in death did not appeal. Luckily the clever Egyptians developed a solution to the problem. Get yourself some ushabti figures and use magic to make them volunteer to do the work allotted to you in the afterlife. Ushabti figures usually have a spell engraved on them with the name of their dead person and an instruction to do their work. The brilliance of the solution was that anyone could afford it, rich and poor alike. So every Egyptian could look forward to a death of ease in the afterlife, until future generations started pinching their ushabti figures that is. 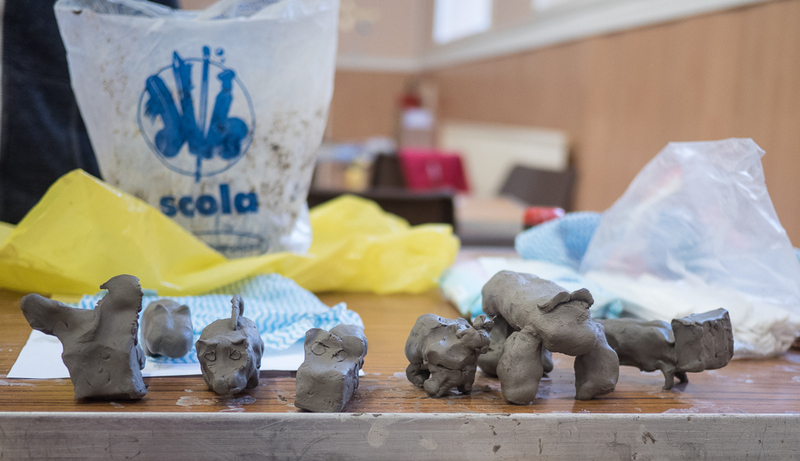 Lots of ushabti are made of clay, so we all went through some reference books, came up with ushabti designs and had a go at making our own figures.We also tried dung beetles and hippos, both firm favourites with the ancient Egyptians, but more for the living than the dead. 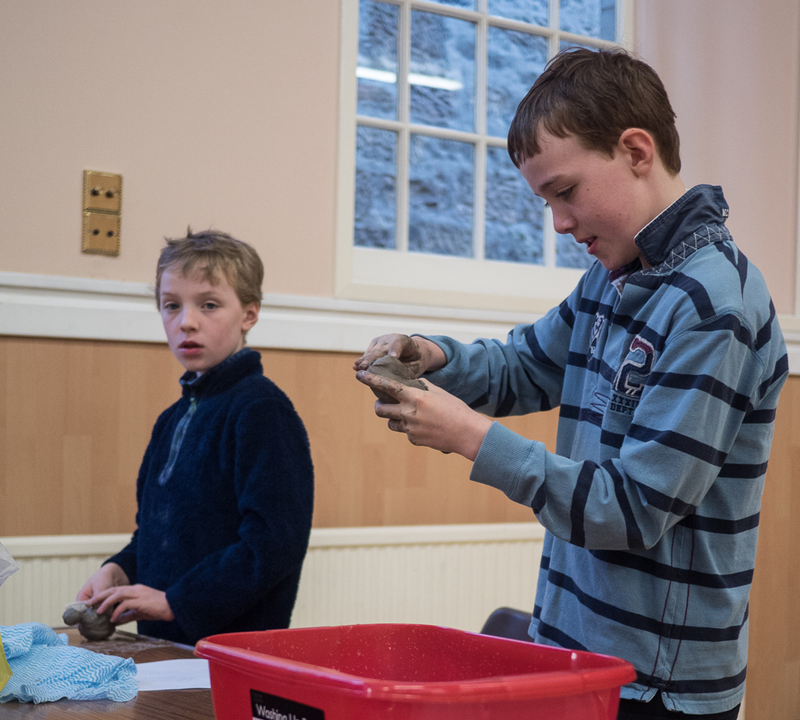 Most of us took our raw, still soft ushabti figures home to dry and hopefully to beautify. Charlotte waves her hands at Lee, Katie and Morven like the mad person she is. Algirdas pointing. At what I do not know. Everyone experiencing various levels of enjoyment. Assorted Hippos. We were getting tired by then.